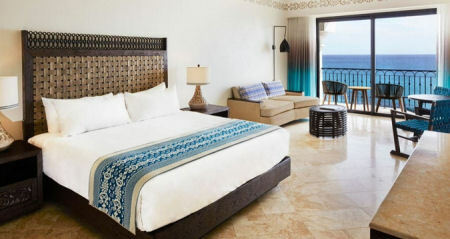 Casa Dorada Spa & Golf Resort in San José del Cabo, Baja California Sur, Mexico - Buy a 7 Night Stay in a Junior Suite! 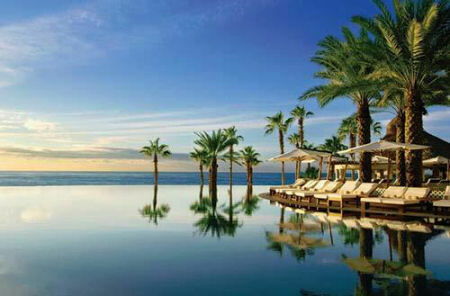 Enjoy 7 Nights at Casa Dorada Spa & Golf Resort in San José del Cabo, Mexico! Casa Dorada Spa and Golf Resort is located on the premises of the Hilton Los Cabos, and is surrounded by beautiful landscapes. 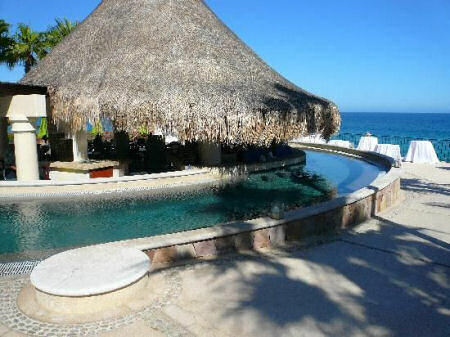 Accomadations have stylish decor and overlook an inlet bay on the Sea of Cortes. 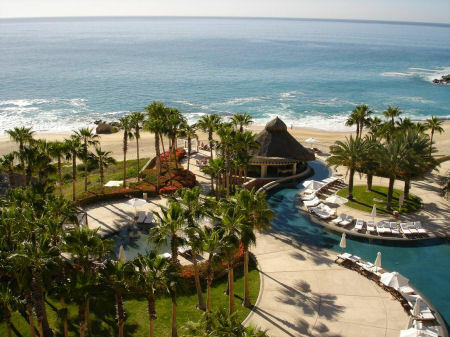 Among amenities at the resort are a swimmable beach along the corridor between San Jose del Cabo and Cabo San Lucas and a championship golf course. Plan your escape to paradise at Hilton Los Cabos Beach & Golf Resort, a Four Diamond hotel with world-class amenities, award-winning serivce and unparalleled accomadations that will make your experience truly one-of-a-kind. 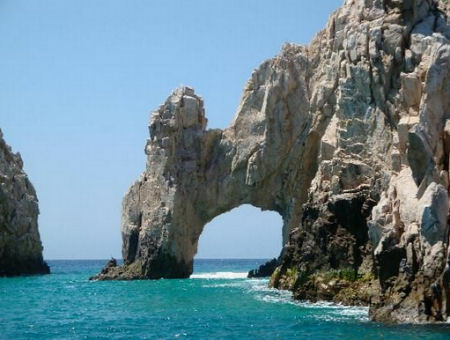 Ideally situated in an inlet of the Los Cabos Corridor along the Sea of Cortez, we have direct access to the one of Cabos' only swim-safe beaches. Explore our beautifully maintained grounds, dive into our opulent Infinity Edge pool, relax with personable poolside bar service, and dine on the most decadent selections in our restaurants. 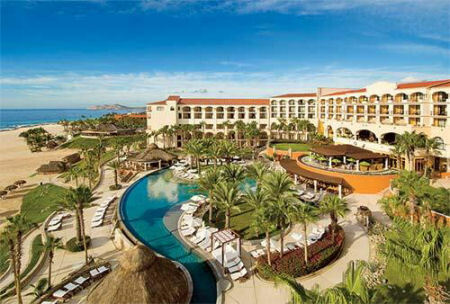 At Hilton Los Cabos, the perfect vacation is whatever you want it to be! The accommodations at Casa Dorada are among the most expansive and luxurious in Cabo San Lucas, but the best feature of all are the private balconies offering uninterrupted ocean views. All rooms boast high-definition flat-screen televisions and Wi-Fi Internet, and pet-friendly accommodations are available. These 619-square-foot one-bedroom accommodations offer spacious kitchenette, a pull-out bed — ideal for children — and a master bedroom with a king-size bed. The bedroom opens up to a 220-square-foot terrace with breathtaking ocean views. The spacious bathroom offers the comfort of a shower and bathtub and marble sink. Your Junior Suite will sleep up to 4 guests with a partial kitchen. These 1,095-square-foot one-bedroom accommodations offer spacious living and dining areas, a kitchenette, a pull-out bed — ideal for children — and a master bedroom with a king-size bed. The bedroom opens up to a 220-square-foot terrace with breathtaking ocean views. The spacious bathroom offers the comfort of a shower and bathtub and marble sink. Your Premier Suite will sleep up to 4 guests with a partial kitchen. The finest of all Cabo San Lucas resorts, Casa Dorada Los Cabos Resort & Spa is a true oceanfront sanctuary overlooking the best swimmable beach in Cabo. As our guest, you will enjoy the amenities of an ultra-exclusive five-star hotel in a delightfully casual and relaxing ambiance.